Attendance: No more than 50. Tricky conditions underfoot saw the game played on an adjoining pitch to the one normally used. 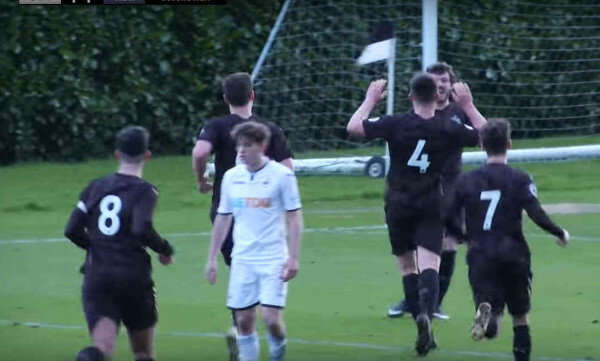 Newcastle U23s confirmed their qualification for the knockout stages of the Premier League Cup with one group game to spare, after forcing a draw in South Wales on Monday afternoon. Trailing to a 56th minute strike from Botti Biabi, just four minutes of normal time remained when Owen Bailey met Callum Smith's corner and headed home at City's Landore training ground. And a fine save in added time by substitute goalkeeper Otto Huuhtanen ensured that the Magpies gained the point that guarantees a first or second placed finish in their group, with one game left. The group concludes on Monday February 26th, when Newcastle host Colchester United while Swansea must travel to Burnley. With some sides still to play three of their six games, many of the other 15 sides to qualify with Newcastle remain to be confirmed - definitely in there already though are Derby County, Leicester City, Everton and Exeter City.